After many years and many roles within Jobcentre Plus operations, 12 months ago I decided to venture into the world of training provision. I must admit this was somewhat outside my comfort zone – I was used to being responsible for filling training courses, not buying them in the first place. Suddenly, I needed to look at it from a different point of view, and take into account budgets, contracts and value for money… I had a lot to learn! After spending time with my new team and asking a lot of questions, I began to understand the world of procurement. To be honest, I had never really thought that much about the commercial side of any of my job roles, and if I did, I considered it to be something that someone else was responsible for. In the first few months of my new role, while I saw the link between my work and our commercial team, I still considered all things commercial as their responsibility. But I soon began to realise that although they are the specialists, if I was going to be working with providers to set up and pay for training provision, I needed some commercial knowledge. Without it, how would I be able to shape price and service expectations. More importantly, how could I ensure value for money? So, my next step was to visit Civil Service Learning (CSL), where there are 5 e-learning modules on Commercial Awareness. 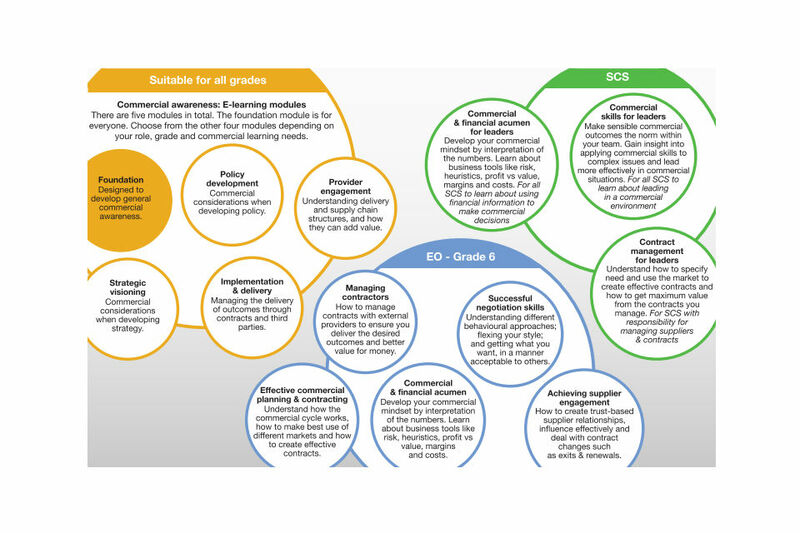 Two of them stood out to me straight away – the Foundation module (I was a beginner after all), and the Provider Engagement module. Did I need to complete the other three? Well, after seeing how straightforward it was to work through the modules, it made sense to finish the set! While completing the modules, I began to realise that I have had a commercial awareness all along… I just didn’t know it! I now understand how to apply commercial concepts when engaging with providers to achieve the best possible deal. I went on to complete the CSL self-assessment tool, which is so simple to do and is great because it links to the competency framework. As the CSL website has such a vast amount of learning available, it’s not always easy to know which is the most relevant and where to start. Completing the tool gives you named recommended learning, determined by your responses to the questions. It’s designed to help you improve your capability in the areas where you need it most. I now have a development plan that reflects the formal learning I need, and that will enable me to be the best I can be in my job. An exciting new type of learning has recently caught my eye – the MOOC (Massive Open Online Course). MOOCs are totally free and run by experts in the field – but you get all the benefits of a huge online community with whom to discuss and build your learning. There’s one running on Contract Management from 27 April – take a look! I will be ensuring all my team complete the self-assessment tool, so that they too have robust and relevant development plans – and commercial awareness learning and the contract management MOOC will be first on their list! I too was terrified when asked to procure for the very first time, especially as the technical specification advice for cloud-based technology was low on the ground. So I took the same approach that I take when buying household white goods or getting building work done. 3) what can go wrong risk analysis. Thanks to a free Commercial Procurement Course I did about 8 years ago at the Department of Health (good old CS training) where they stressed the need to be aware of maintenance and hidden costs, I wrote a Tech Spec, a mini risk assessment, a business case and then just got on with it. I found the Digital Marketplace useful (even though the search function at that time was terrible). At least I knew what services were on offer, the procurement rules and regulations I had to be aware of and comply with under the G-Cloud's T&C. Based on my practical experiences, trial and errors I have fed back many time to the Digital Marketplace end-user workshops and have seen good improvements made to the site. Especially as the Technical management side of it was brought in-house rather than contracted out. When asked to pass on procurement advice to others I always say: act as if the money was coming out of your own pocket but remember not everything cheap is going to be good value. It is a skill, made good only through practice, practice and more practice. So I would recommend anybody to get savvy with commercial skills using a combination of CSL, engaging early with the Procurement Team, being really clear about what it is you intend to procure and use the Digital Marketplace to get to know the products and services on offer. The beauty about the Digital Marketplace is that sometime the services on there offer a free trial and also the call off contracts mean you can terminate a contract after 1 month is the service is really awful. 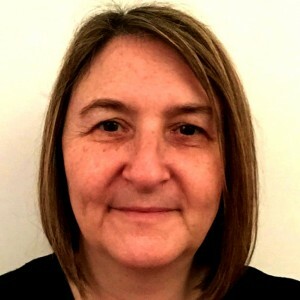 Jane, thanks for the blog, good to know commercial skills are becoming as important as technical ones in this digital age and I look forward to reading more blogs like this.